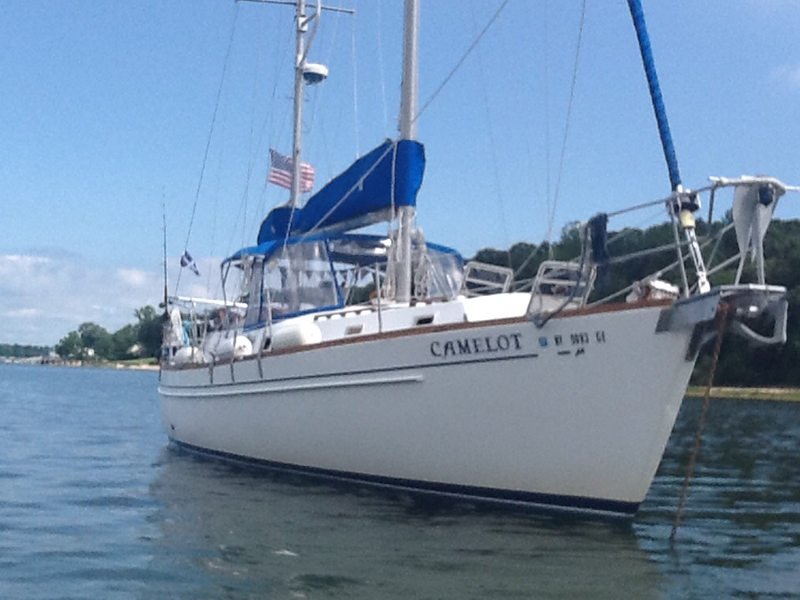 Up to 6 guests can relax for 3 enjoyable hours on the classic 46 foot sailboat, Camelot, conveniently located in lower Westchester, just 10 miles from Manhattan. And managed with strict safety standards by Captain Luc and his wife Kathryn. Learn the exciting rituals of sailing a classic boat and relax in comfort in the spacious covered cockpit or wide decks all while enjoying the breathtaking views on the Long Island Sound. ​Captain Luc dons his chef hat to prepare an great meal using his vast experience as a professional chef for over 30 years. Enjoy a weekend outing with a leisurely cruise and a lavish brunch. Settle back and unwind on this evening cruise. 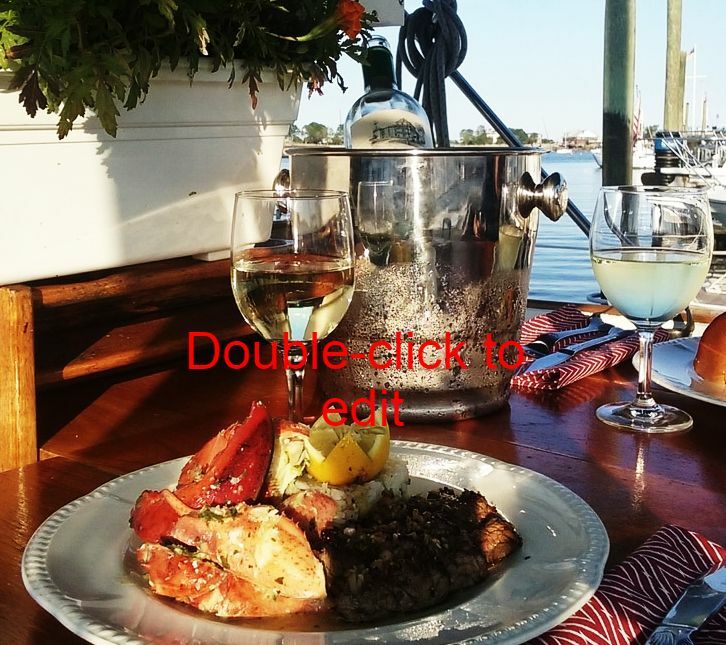 Begin with 4 course gourmet dinner and then sit back and take in the beauty of an evening on the Long Island Sound. Take a break from your busy schedule to enjoy a leisurely sail and 4 course meal before returning to the dock by 2:30pm. Celebrating a anniversary or special birthday? Entertaining guests or looking for a unique venue for a small business get together? Reserve the Camelot for 2 - 6 guests for your exclusive use. Discuss meal choices with the chef along with any requests to assure the cruise fits your needs and expectations. All cruises are BYOB - feel free to bring refreshments. Ice and corking available on board. Reservations and partial deposit required. Payment available via credit card or cash. Camelot is located in New Rochelle and is a easy commute from Manhattan and New Jersey. Only a 30 minute drive from New York City, just off of exit 16 on I 95. ​Take Metro North to New Rochelle in just over 30 minutes from Grand Central Station and the marina is located 3/4 of a mile south from the station. Free parking available. Please park on the upper level of the parking garage ( enter at Patsys Pizzaria) and walk down the stairs to Dock A. The Camelot is just at the end of the gang plank on the left. We had the best time. Kathryn and Luke could not have been better hosts! The food was amazing and the trip was an absolute thrill!! We learned so much about the smaller islands of the Bronx and loved hearing about their sailing travels. We had an exceptional experience combining a delightful sail with a gourmet dinner. Capt. Luc & Kathryn made us feel like we've away on a mini vacation! We loved every second. Amazing food and a beautiful boat. It made for great fun with 2 other couples. Way better than a restaurant. Very reasonable when you consider all you get!